I know what you’re saying… I just blogged the other day; why am I so chatty? 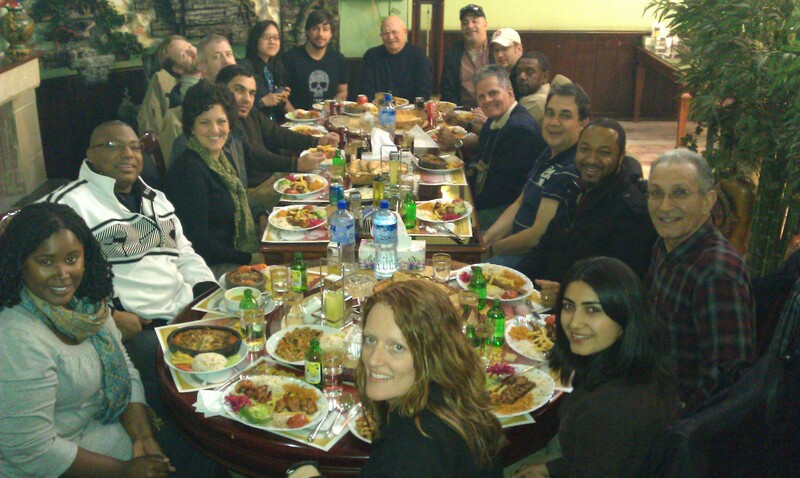 Just had to share some photos from the Turkish Restaurant here in Kabul Sunday night. We went for a farewell dinner for two of our coworkers. 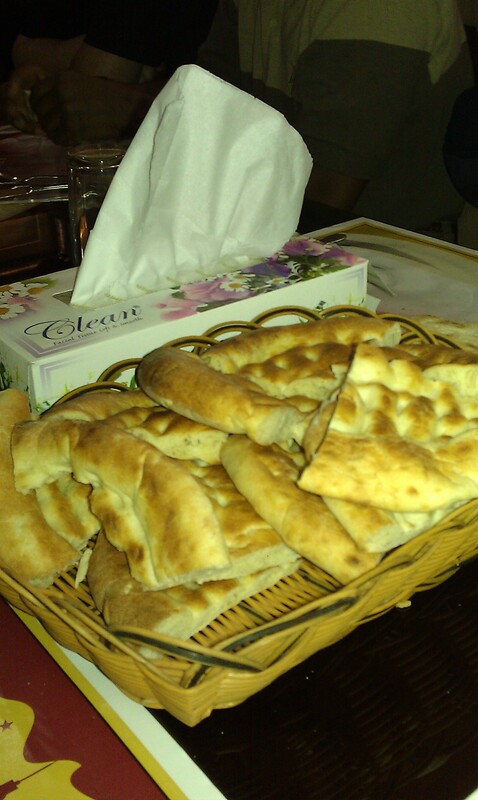 The meal started with baskets full of fresh bread, or Naan. They kept the baskets full of hot, fresh naan. Do notice the box of tissues, as well. They were the napkins. The box simply says "Clean" on it. Um, ok. It was missing something so I asked for hummus. It’s not on the menu so they explained it would take a few minutes… to make, apparently. Wow. Greatest hummus ever. They brought drinks out on a cart. We’d use it to buss tables; they had it chock full of warm sodas. Yup. Still a complete tourist. I will NEVER laugh at (usually Japanese tourists) taking photos of food again. 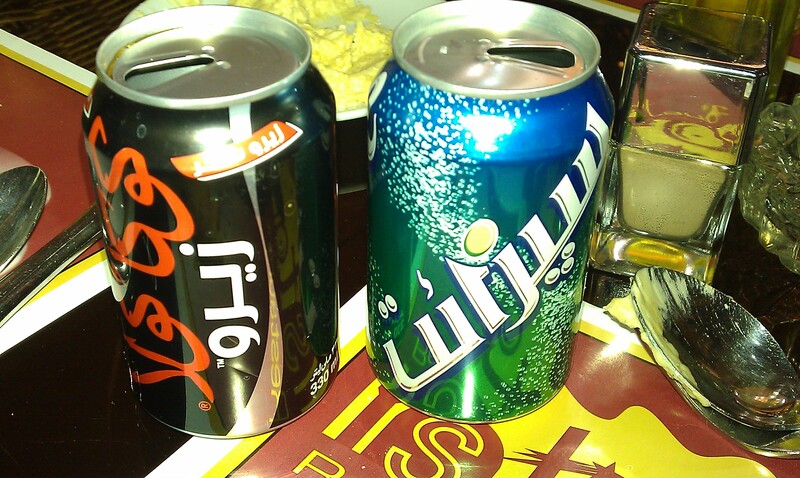 These cans just crack me up. I tried everything on the plate. 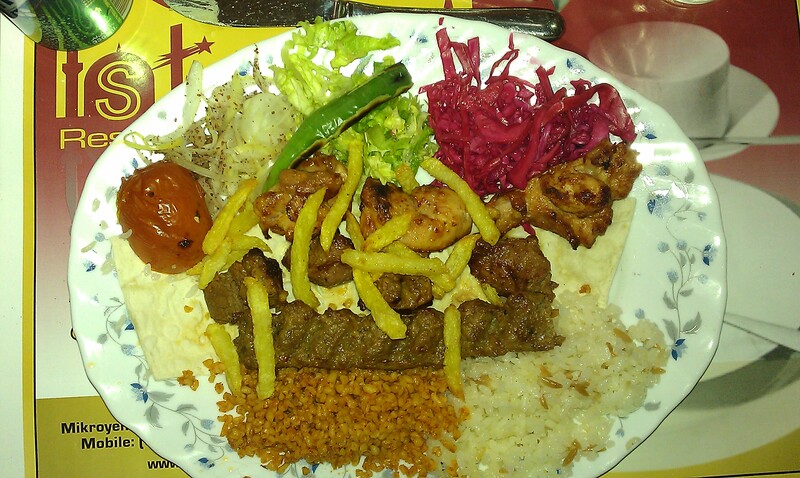 Decided not to eat the "beef" and that purple stuff was good! 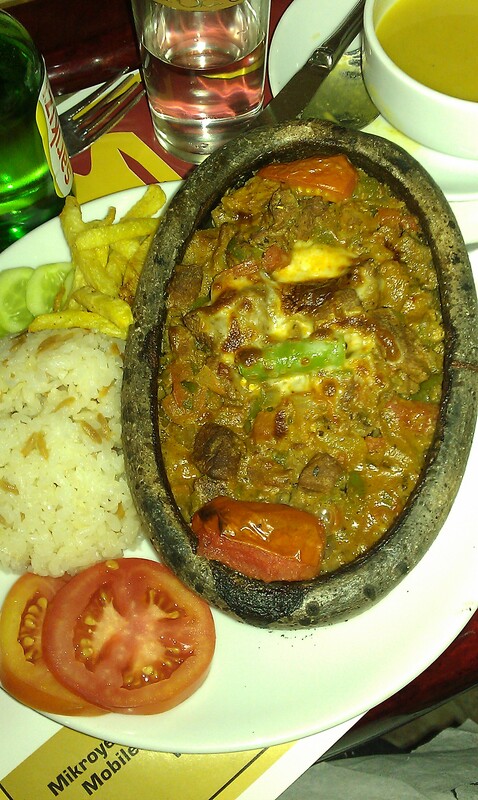 This is lamb stew. Will offered to share it with me. I vehemently refused, um, I mean politely declined. 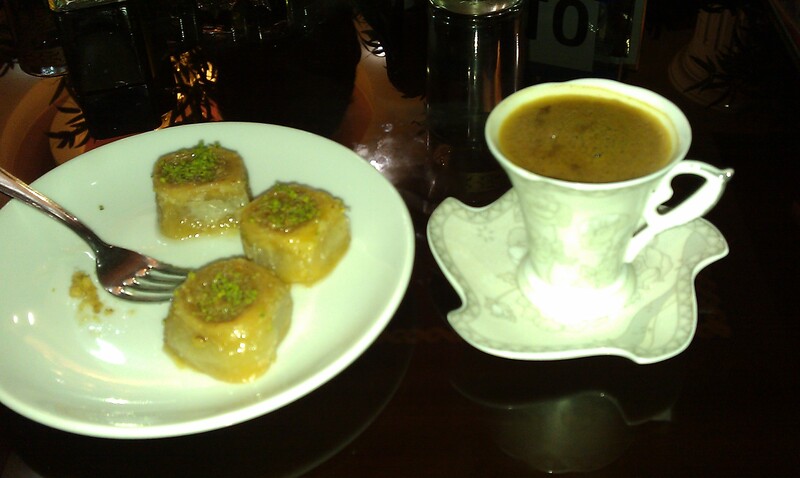 We had a leisurely dinner followed up with Turkish coffee and baklava and then headed back to the ‘Ville. I brought a kilo (yup, that’s the measurement) of baklava back for the guys in my work section. Yhey don’t have the freedom to visit local restaurants like we do and I always try to bring them something when I do leave. This is the contractor group. Great mix of people with a whole myriad of backgrounds. I miss my friends and look forward to having coffee, catching up and sharing stories. In the meantime, lets’ pretend. When in Kabul, do as-well, wait. 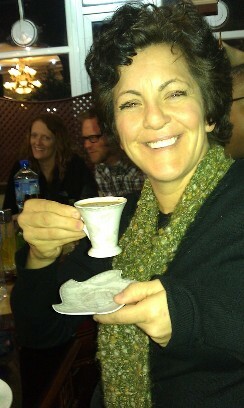 It's TURKISH coffee. How do you say, "I"m drinking up the experience?" ← Camaraderie, a motorcycle IED and the tragedy in Tucson.